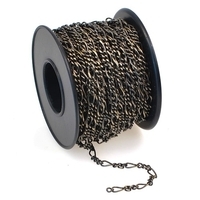 The type of chain you use will determine the character of your jewelry creation as much as the beads you choose. 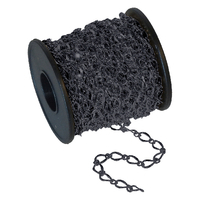 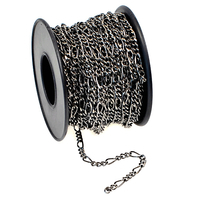 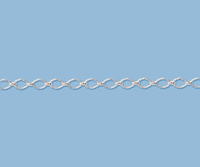 Our extensive selection of metal chain includes fine to heavy in a number of link styles. 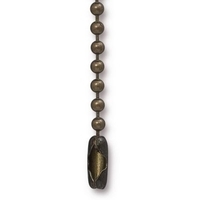 Experiment with gold filled, sterling silver and silver filled in a variety of weights and styles. 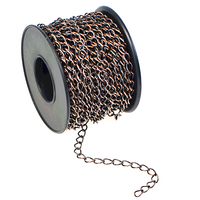 Our base metal chains are popular in Steampunk designs and available in antique copper, antique brass and gunmetal finishes. 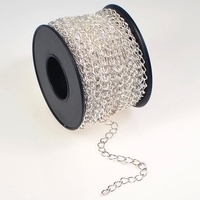 At Harlequin, metal chains are sold by the foot and are not exchangeable or returnable - so please choose carefully. 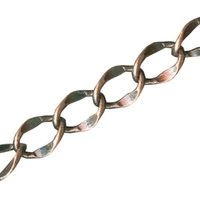 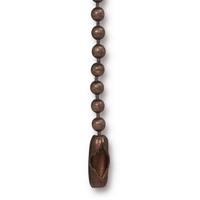 Harlequin also offers metal findings to match the color and finish for every type of chain. 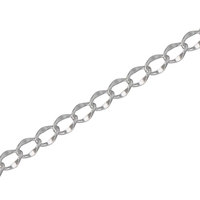 stainless steel 2.4mm, 30 inch ball chain with clasp silver New! 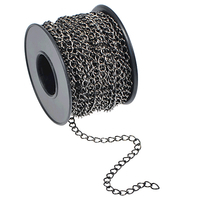 stainless steel 2.4mm, 30 inch ball chain with clasp black New! 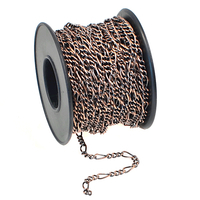 stainless steel 2.4mm, 30 inch ball chain with clasp antique copper New! 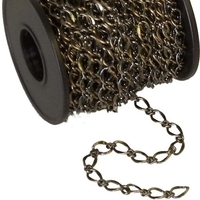 stainless steel 2.4mm, 30 inch ball chain with clasp antique brass New! 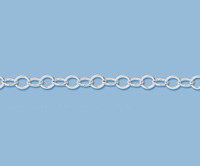 4.2mm silver plate curb Chain New! 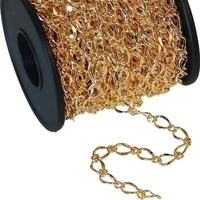 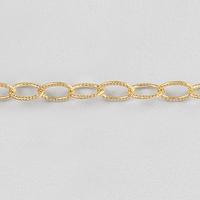 4.2mm gold plate curb Chain New! 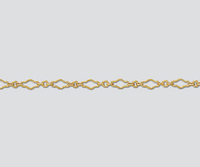 2.3mm gold plate figaro Chain New! 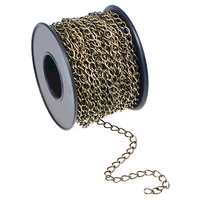 2.3mm antique brass plate figaro Chain New! 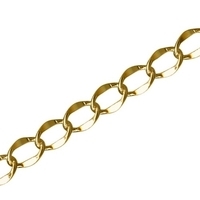 5mm gold plate hammered long & short curb Chain New! 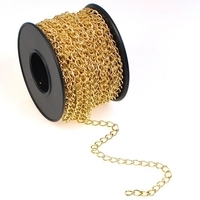 5mm antique brass plate hammered long & short curb Chain New! 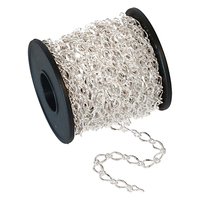 6mm white (silver) plate hammered curb Chain New! 6mm silver plate hammered curb Chain New! 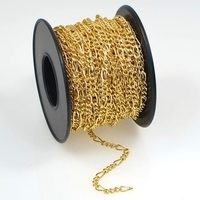 6mm antique brass plate hammered curb Chain New! 6mm antique copper plate hammered curb Chain New!